Houston Medicare Fraud Investigation Lawyer - Oberheiden, P.C. Who Are The Targets Of Medicare Fraud Investigations In Houston? Anyone in the medical field in Houston is a potential target for a Medicare Fraud investigation. Those providers who participate in federal health care programs, such as Tricare, the Department of Labor, and especially Medicare, are particularly at risk for becoming the target of a Medicare fraud investigation. While doctors, dentists, physician’s assistants, and other licensed providers are a clear target for federal prosecutors, other medical service providers and industry participants may also come under investigation for Medicare fraud, such as laboratories, hospitals, pharmacies, home health agencies, hospice agencies, medical supply and equipment manufacturers, medical marketers, and business owners. Federal investigators rigorously monitor all such players in the medical field for red flags of Medicare fraud, such as improper billing practices, illegal kickbacks, and inaccurate certifications. Take the Investigation Seriously. A health care fraud investigation is often the first experience a medical provider has with the federal criminal justice system. Therefore, many providers fail to comprehend the gravity of the investigation and the threat that it poses to their practice, their livelihood, and even their freedom. Waiting to respond to a target letter or a grand jury subpoena can be a grave mistake that health care providers make all too often. As soon as providers learn of an investigation, they should immediately start taking actions to protect their interests, starting with hiring an attorney to help them respond to any subpoena requests. Implement Internal Compliance Programs. The best way to avoid penalties from a health care fraud investigation is to prevent the investigation from initiating in the first place. Medical providers who implement internal compliance programs are significantly more likely to avoid or succeed against a health care fraud investigation. Such compliance programs include regular internal audits, routine employee training, and clear, up-to-date employee manuals regarding policies and procedures. Oftentimes, simple human errors, caused by lack of oversight or untrained staff, will lead to mistakes in invoices or other documents that draw the suspicions of federal investigators. Internal compliance programs will help prevent and address such mistakes before they draw the attention of federal authorities. Hire an Attorney Immediately. A provider should not wait until criminal charges are filed to hire an experienced health care defense attorney. The minute a provider receives a subpoena or a target letter, that provider should contact an attorney. The earlier a provider obtains qualified legal counsel, the more likely that provider will be to escape civil or criminal penalties. A qualified health care defense attorney will be able to answer the providers’ questions regarding the investigation, such as: is the investigation civil or criminal in nature? What conduct cause the investigation? What are the potential charges and penalties? 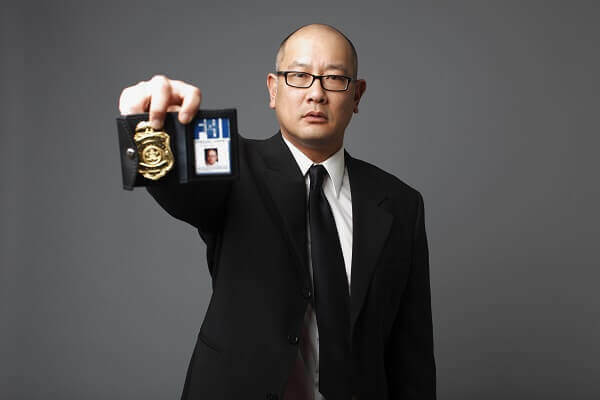 Moreover, an experienced attorney will act as the provider’s representative to the federal investigators and prosecutors, so as to prevent the provider from making incriminating statements or drawing further suspicion from the authorities. Experienced Health Care Fraud Defense Attorneys. The Oberheiden, P.C. has successfully represented health care providers facing investigation for health care fraud. We combine our extensive experience on both sides of the courtroom with our comprehensive understanding of health care laws to develop proven defensive strategies for our clients. Our clients include pharmacies, laboratories, doctors, hospitals medical marketers, home health agencies, and other medical service providers. If you are a Houston medical service provider that has received a target letter, a subpoena, or any other form of contact from federal investigators, you need to call a health care defense attorney immediately! Call Oberheiden, P.C. today to see how our experienced attorneys can help you. All consultations are free and confidential.